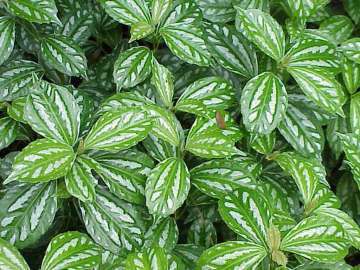 The Aluminum Plant, or Pilea cadierei, is an attractive hanging or table plant native to China and Viet Nam. This particular variety of Pilea is grown for its attractive leaves rather than its very small flowers. The dark green oval foliage, which looks a little puffy or quilt-like, has distinct shiny silver markings between the veins on the upper side of the leaf. 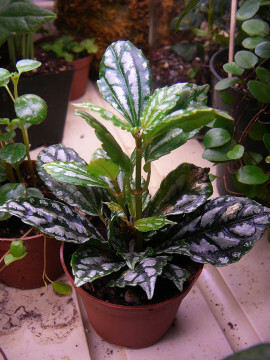 Aluminum Plants are small soft- stemmed plants, usually reaching a height of no more than 12-18 inches (30-45 cm). These plants need to be trimmed on a consistent basis in order to stay attractive and not become leggy. Aluminum Plants should be placed where the top of the leaves are easily visible since this is where their beauty lies. LIGHTING REQUIREMENTS: An Aluminum Plant needs bright indirect light. Direct sun burns the leaves and not enough light causes the plant to become leggy. CARE INSTRUCTIONS WATER: The soil of an Aluminum Plant should be slightly moist, but not soggy at all times. In the cooler months or when your Aluminum Plant is not producing new leaves, allow the top 2-3 inches of soil to dry out before watering. FERTILIZER: Feed an Aluminum Plant every two weeks when it is actively growing with a basic houseplant fertilizer at 1/2 the recommended strength. TEMPERATURE: The best temperature for an Aluminum Plant is between 60-75 degrees. HUMIDITY: Aluminum Plants require very high humidity. 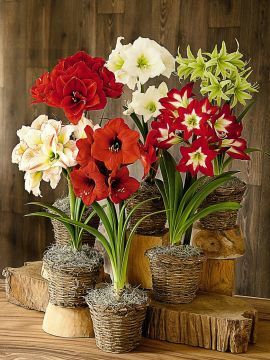 If your home is dry, place the plant on a tray of pebbles filled with water. Be sure the Aluminum Plant is sitting on the pebbles and not in the water. FLOWERING: An Aluminum Plant produces very small white flowers that are over shadowed by it distinctive leaves. PESTS: Spider mites, Aphids, Fungus Gnats, scale, thrip can all be a problem for an Aluminum Plant. DISEASES: Because of the high humidity an Aluminum Plant requires, both bacterial and fungal leaf spot are a problem. Help prevent this disease by keeping the leaves dry and providing good air circulation around the plant. A commercial Fungicide can be used to treat the problem. 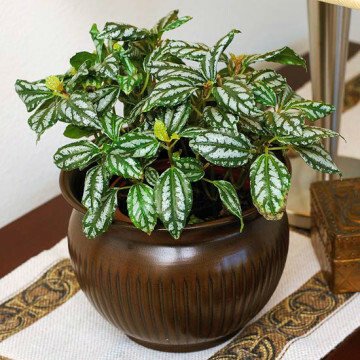 SOIL: Use a good basic houseplant mix that is airy and drains quickly. Add some peat moss or other organic matter to help plants develop a good root structure.